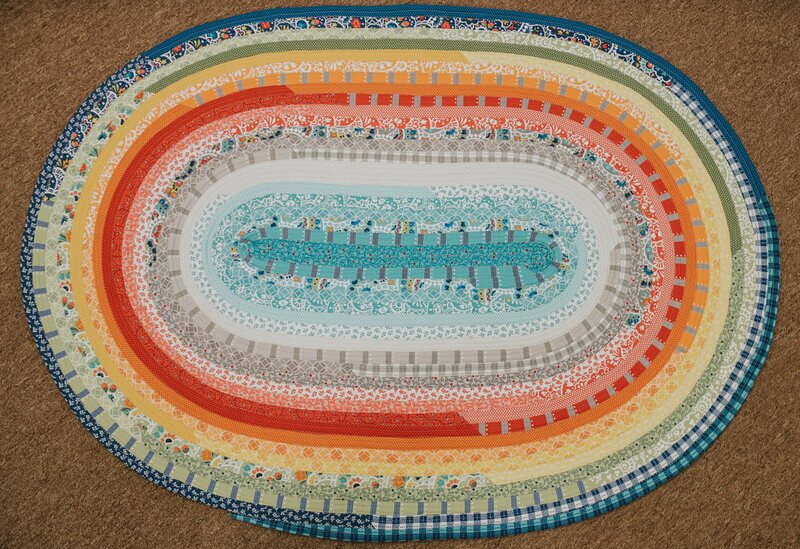 To make a rug, you'll need a jelly roll (we've got some super neat ones), either the oval or rectangle pattern from RJ Designs (we've got both) and either two Katahdin on A Roll or forty 2 1/2 inch by 40 inch strips of thin, cotton batting. AND don't forget to pick up one of our Jerry's Jellyroll Jig, an exclusive to Hip Stitch tool that cuts your construction time up to one-third! Bring your sewing machine; one jelly roll; either the oval or rectangle rug pattern from RJ Designs; 2 Katahdin on A Roll or forty 2 1/2 inch by 40 inch strips of thin, cotton batting. If you want to make a jelly roll bowl, just bring in as many strips as you have and some Katahdin or cotton batting. The size and shape of your bowl will depend on the amount of materials that you use! Materials Included: 15% off all materials purchased at Hip Stitch for this class. Pattern required and available for purchase at Hip Stitch.